When it comes to traveling and your phone, it’s traditionally been the case that roaming in another country meant paying hefty per-minute costs to your home provider, often over $1 a minute or more for a phone call. There have long been companies offering prepaid international SIM cards, or global SIMs, to compete with the high prices one would pay by roaming on their home carrier. 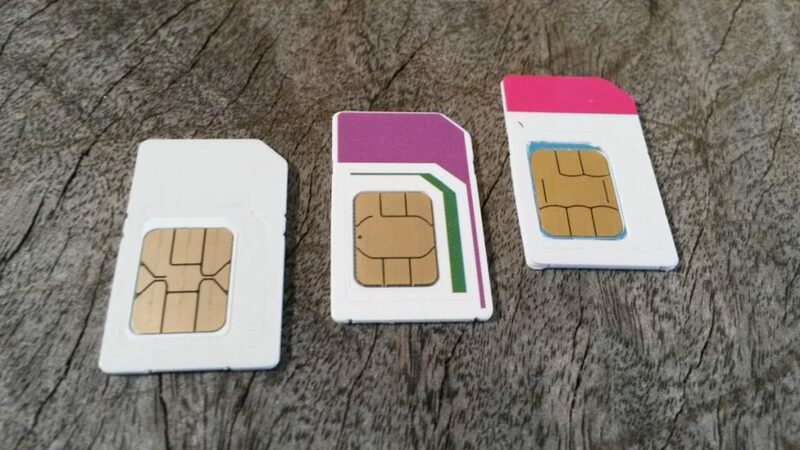 While the per-minute prices of these international SIMs were better, they still came at a premium, limiting you to use the service only when necessary, and often having to worry about your SIM card becoming deactivated if you didn’t top up the prepaid credit every few months. The alternative to outrageous rates while traveling abroad has always been local prepaid SIM cards. These are of course still a great option, but they getting one isn’t always practical. For example, sometimes you’re only in another country briefly, maybe for a weekend getaway or even a one night stopover. Sometimes, purchasing a prepaid SIM card isn’t easy, or in some cases, simply impossible for foreigners, as is the case in Japan. And finally, while using a local SIM card makes it easier for locals to get in touch with you, it can make it harder for people back home. Fortunately, things have changed in the past few years. It’s now possible to find international SIM cards that have rates which are often comparable to local prepaid SIM rates, and which have a US, UK or other phone number which your friends, family or work colleagues can easily use to reach you. They use an Estonian phone number. This would make it expensive for others to call you. High upfront cost. Some want $50 or more for their SIM card. Price gouging. This was the number one problem. Some SIM cards had reasonable rates in popular countries, but then would charge an extortionate amount (i.e. over $10/MB data) in others. After the eliminations I narrowed it down to the following two international SIM cards. Update: due to reports of severe reliability issues, I no longer recommend this SIM. This is the only SIM card that offers reasonable rates on minutes, texts and data in every country I looked at, in many cases having the best rates by far – typically countries like Fiji or Thailand where others would implement shameful price gouging. Includes both a US and UK number on one SIM, so parties can reach you on either. The reliability should be a big a concern for anyone wanting to use this is their primary service. However, the low upfront cost and very reasonable rates in all countries makes this a good single international SIM card, even if it’s just as a backup, and the 420 day validity period is well-suited for that purpose. The fact that you can often choose between two or three different providers in a country means that if your primary SIM isn’t getting a signal, you can try your Piranha SIM to see if you can connect with a different carrier in that area. Free incoming calls in Truphone Zone countries: US, UK, Australia, Germany, Netherlands, Poland, Spain, Hong Kong. The combination of a US number with free incoming calls is exceptionally rare, both among international prepaid SIMs and even domestic US providers, where you typically pay for all incoming calls. Wander into Ukraine on a European trip and you’ll pay $1.80/minute and $9.00/MB! Despite its cons, the Truphone SIM has to be mentioned for its Truphone Zone countries. It’s a uniquely ideal solution for an American working or studying abroad in the UK, Spain, Australia or another Truphone Zone country, but wants to be easily accessible to friends or family back home. Even for calls to local numbers abroad, the Truphone Zone rates are on par with and sometimes even cheaper than local prepaid SIM provider rates. And with free incoming calls in the US, some US users have been known to use Truphone as their primary service (usually combined with Google Voice). Here’s a comparison of rates between Truphone and Piranha. Note that Piranha’s rates are billed in British pounds which I converted into US dollars, so they could vary with the exchange rate, in addition to possible pricing changes. Update: Since I can no longer recommend Piranha, Truphone is the only option here. Costs may be higher in certain countries, but it’s worth it to have a service that works reliably. If Truphone’s rates are high in a country you’re visiting, you can always switch to a local SIM card. This company actually offers free incoming calls and texts in 146 countries. That’s a great advantage over Piranha or Truphone. I wonder if the quality of the service is the same, never tried any of these. Thanks again, Akos! Forgive me for removing the link you gave: I don’t want spammers to see it and think they can post links, too. The service you linked to though looks like a clone of one of the major prepaid international SIMs that provides service based on an Estonian number. While incoming calls are free in many countries, the person calling has to pay for it with the added cost of calling an Estonian mobile number. You can get a US number, but then you pay 0.15/min EUR for incoming calls on that number. In addition, their rates for data are more expensive than Piranha in every country I looked at. These points in addition to the high upfront cost are why I don’t even bother mentioning those services. They just can’t compete. On some points you are right, but I think you are looking at it from a US only perspective. For us, Europeans, the service I linked (Citysim) is actually really great! As of July 2017 there are no more roaming fees in the EU as you know. Which means anyone can call your Estonian number for local rate if not free. And with this sim, you can receive the call in the US also for free. But you are right, Piranha is very attractive. And because of my planned travel this year to South America, I am hesitating which service I should pick. Would you mind letting me know what service you refer to with this: “looks like a clone of one of the major prepaid international SIMs that provides service based on an Estonian number”? Anyway, thumbs up for this blog or website, I found you recently via freedompop but I like the posts and topics so I might be a regular reader. Did you consider an RSS service? That could make it even better. There are several international SIMs with Estonian numbers, but the one I had in mind is TravelSIM. The rates for the one you mention look identical, and I’ve seen other SIMs with identical rates as well, leading me to believe they’re clones. There’s a good list of prepaid international SIMs here, which is more focused on data use, but it’s useful for checking out the options. If an Estonian number works for, and more importantly the people who need to reach you (they won’t have to pay an unreasonable rate to call an Estonian number), it’s certainly an option to consider. However, they’re really only advantageous if you’re primarily concerned with free incoming calls. As soon as you make an outgoing call, SMS or use data, your rates are going to be higher than Piranha’s. For example, while roaming in the US, you’ll pay 0.39€ per minute, 0.35€ per SMS, and .19€ per MB data. Compare that with Piranha: 0.09€ per minute outgoing (0.04€ incoming), 0.09€ per SMS, 0.07€ per MB data. On top of this, you have a higher upfront cost (which effectively translates into an even higher rate per minute/SMS/MB). Your point about upcoming changes in EU regulations is a great one. Until those comes into effect though, it’s an assumption to think that these Estonian-based providers will continue offering free incoming calls in as many countries as they do. I’ve seen it suggested that the reason they allow free incoming calls is because they make their profit on the person calling. Take that profit away and it may result in changes to their pricing structure. We can surely expect to see some changes in all international SIM cards come June of this year! Finally, here’s the RSS feed. I had a prominent link for it which I recently ditched in a site redesign, thinking no one used it. Maybe I’ll have to put one back. Thanks for asking! Any idea about when Piranha will introduce data packages like Lemonsim/Airbalticcard/Travelsim? I also confirm Piranha has some issues with incoming SMS (you will never know if they will arrive to your phone) plus a certain difficulty to find the network when you switch on the phone but on the other hand I confirm all the pros described in the article above. More, they provide good customer care compared to the non existing support provided even by important brands.